Our 2019 Sustainer of the Year is Betsy Mantor. Betsy Mantor has been involved in the community for more than 30 years. Over the years, Betsy has served the community holding various positions on numerous non-profit committees and boards with the goal of improving her community by helping to develop the potential of women, supporting homeless teens, guiding young boys through their teen years, strengthening literacy levels of children and adults, preserving the history of Edmond and being a faithful servant to her church community. When the Junior League of Oklahoma City adopted a literacy focus, Betsy started on a path to follow the fight against illiteracy in our community by raising awareness through the Oklahoma City Metro Literacy Coalition (OKCMLC) as a founding member. She is most proud of her work in 2005-2007 to help define and meet the Oklahoma City metro community need of a centralizing organization to connect metro literacy organizations and foster a “Fully Literate Community.” She has stayed dedicated to the Coalition for over 10 years serving as a board member, chair of their annual fundraiser, Scrabble Showdown, and chair of the board. Currently she manages the OKCMLC’s GED Scholarship Program that grants the cost of GED testing for adult students in need. Betsy also served on the Smart Start Central Oklahoma Board from 2007-2017, supporting families and caregivers with resources to help develop the growth and education of preschool children and make them school ready. Betsy is an active member of St. John’s the Baptist in Edmond. She has served many roles at her church in the area of worship and education. During the time of JLOC’s literacy focus she worked at St. Elizabeth Ann Seton as an aid to the 2nd grade which allowed her to nurture her passion for literacy. Boy Scout Troop 21 chartered at St. John’s has filled her Tuesdays for 18 years. As advancement coordinator, she has guided many young boys on their journey to Eagle Scout. She has a servant’s heart when it comes to her faith and serving her church community. In 2013, she was honored with the St. John’s Women’s Society Woman of the Year Award for her dedication to these volunteer commitments. Betsy had the privilege of being introduced to Pivot, formerly Youth Services for Oklahoma County, by Sally Bentley in 2008 shortly after her president year in Junior League. She spent nine years serving on the board of Pivot (YSOC), whose mission is to impact the lives of homeless teens who are in need of assistance through their high school years. She had the honor of serving as board chair in 2015-16 and spent many years supporting their annual fundraiser, Reach for the Stars. The experience of effectively changing young lives as they advanced to adulthood was a most rewarding experience for her. 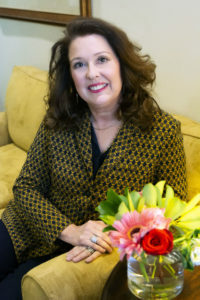 Betsy joined the Edmond Women’s Club in 1996, where she developed her knowledge of Edmond non-profits and grant writing. She served on the Fine Arts Institute board for two terms. Betsy was appointed by then Mayor Dan O’Neil to the Edmond Historical Trust from 2008-2010 and in 2012 was asked to join the board of the Edmond Historical Society to support the preservation of Edmond’s history where she served her six-year term and chaired the board from 2016-17. While active in Junior League, Betsy chaired the 75th Anniversary Signature Project Committee in 2001-03 that developed the idea for the Jungle Gym at the Oklahoma City Zoo. Then in 2004, she participated in its build as the finance chair. Together, she and the talented women of JLOC organized 5000 community volunteers for a two week build. This was a true highlight of Betsy’s volunteer career. The Jungle Gym continues to be a destination for children today and she was deeply honored to be asked by the 90th anniversary co-chairs to once again bring her past expertise to the Jungle Gym for renovations in 2018. Opportunities like the Jungle Gym project are what motivate Betsy to continue to volunteer in the community. Working with dedicated, devoted women and men who strive to make a difference in our small piece of the world puts a smile on her face. Betsy and her husband, Cameron live in Edmond. Their son Will and daughter-in-law Margaret (Cottingham) live in San Francisco, California.